The last few years have seen sentiment analytics become a critical component of customer feedback strategies for companies of all sizes. Sentiment analytics uses a combination of Natural Language Processing (NLP), Machine Learning (ML) and deep text analytics to bring out the nuances hidden in the text. The idea is to understand not only the nature of the feedback but also to derive context out of it. However, sentiments are complicated. Analyzing sentiments, even more so. The complexity of spoken language makes it difficult if not impossible to derive sentiment accurately every time. Teaching a machine to understand such things as tonality, cultural lingo, and slang, or the ability to discount grammatical errors, and comprehend rhetoric such as irony or sarcasm are all difficult at present. Existing sentiment analytics tools are not equipped to identify the true sentiment of these types of dialogues. Although sarcasm is a problematic form of language to detect, there are other complex statements that machines are learning to comprehend. Consider the following statement: “Rocketz Insurance Company has always offered me great pricing, but at times I have not been happy with their response time for questions about my policy.” This sentence has a negative as well as a positive connotation, and where sentiment analytics come into play. The first part of the sentence can be identified as a positive feeling, and the other half is identified as negative. Sentiment analytics specific to industry lines play a key role. The accuracy of identifying the sentiment of data can be increased by training the system (machine learning) on a specific domain, such as the insurance industry. For example, the terms “garaging” and “towing” have a greater meaning in the insurance industry as opposed to, for example, manufacturing. Therefore, if a client makes a comment about either, it would have more meaning for insurance than other industries. Having the ability to quickly and easily identify the sentiment of policyholders whose auto policy will renew in 60 days or less is a good example. Let’s say we have 1,000 auto policies that are up for renewal by the end of 2018 and the priority for the renewal team is to contact policyholders who are “detractors.” The sentiment of their conversations and interactions, regardless of the channel, has a low score. The challenge for the renewal team is who do they contact first? Are all “detractors” equal in their dissatisfaction with their auto policy? And what may be the root cause or causes of their dissatisfaction? The renewal team can proactively target these policyholders with a strategy to retain these policyholders with insight on why the policyholder may be unhappy before contacting them. Maybe it was a bad claim experience, or they are unhappy with their premium and started shopping elsewhere. It’s not enough to simply understand who a “detractor” is, but you need to understand why. Using the example of our 1,000 auto policies that are up for renewal, what about the policyholders who are “promoters” and happy with their auto coverage? This is an ideal time for the renewal team to contact these policyholders and thank them for their business as a minimum. But is there a cross-sell or upsell opportunity here? For the renewal team focusing on this segment of policyholders, it would be helpful to have some idea why their sentiment is high before contacting them with a potential offer. Many homeowners are considering cyber insurance to protect themselves from identity theft and invasion of privacy. Sentiment analytics can provide insurers who currently do not offer cyber insurance a heads-up that maybe they should consider offering cyber insurance as a cross-sell/upsell opportunity. Everyone wants to identify and correct bad customer experiences, especially a bad claims experience. What about good customer experiences? Going back to our auto policy example, something as simple as having the ability to easily obtain an auto insurance card online, or easily reach a customer service representative can be a positive customer experience that sales and marketing may want to promote. Sentiment analytics can help insurers sort through a continuous stream of unstructured data to identify opportunities for increasing revenue and identifying trends. Currently, sentiment analytics is not perfect but focusing on a specific domain such as the insurance industry will increase accuracy. Sentiment analytics can be a powerful tool if leveraged starting at the earliest touch point, even if it begins with a small set of customers. Interested to learn how sentiment analytics can be used in your organization? Click on the button below to schedule a demonstration of our interactive sentiment analytics capabilities that we showcased at InsureTech Connect 2018. 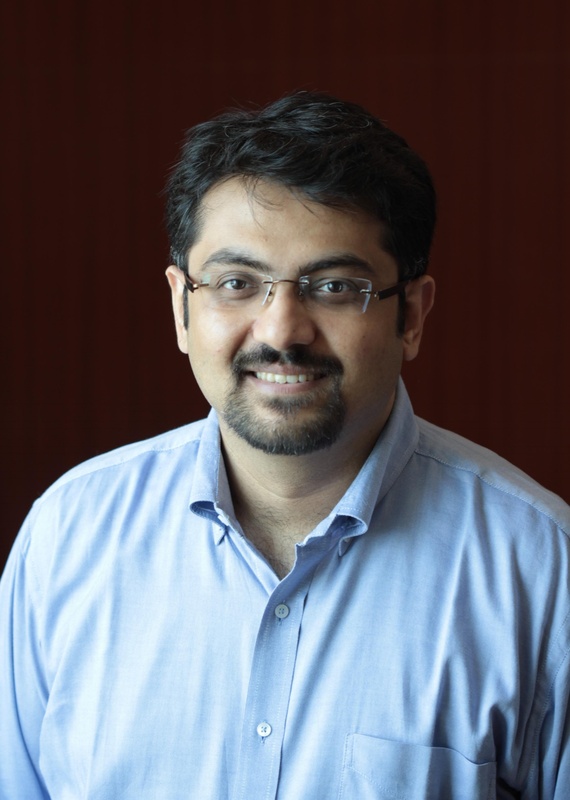 Anurag Shah is CEO and co-founder of Aureus Analytics. He was the founding member and CEO for EdVenture prior to joining the leadership team at Omnitech, where he served as the COO and Head of Global Operations. Aureus Analytics is Anurag's second startup venture.